Sevmash steps up modernization of capacities at its naval yard in Severodvinsk, northern Russia. The shipyard located outside Arkhangelsk has for years been heavily loaded with new construction orders from the Ministry of Defense. While the naval yard in the 1990s and 2000s was forced to turn towards non-military shipbuilding following dried up funds, it is today using all its available capacities to build Russia’s quickly expanding fleet of Navy vessels. Wide-scale upgrades have been conducted the last nine years. But more is needed, the company argues. Sevmash is now preparing for an additional expansion of capacities. A list of requests has been submitted to the Ministry of Industry and Trade, and these might be included in the State Program for the Military-Industrial Complex for the period 2018-2027. The proposals have also be sent to the United Shipbuilding Corporation, the state entity which includes all the main shipbuilding companies in the country. According to Sevmash, there are major ongoing upgrades of the yard’s infrastructure objects, including the slipways and production units, as well as bulk facilities and the quayside. 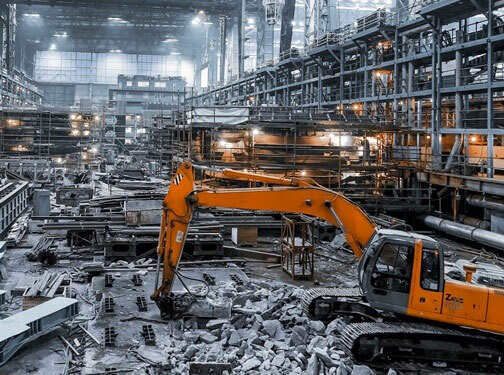 Furthermore, an ongoing technical reconstruction of the plant’s facilities for machine-building, metal works and non-metal works will completed in the course of the next 2-3 years, a press release reads. The huge Sevmash yard is Russia’a only manufacturer of nuclear-powered submarines. Since 1939, it has constructed 45 surface vessels and 168 submarines, 132 of them nuclear-powered. A total of seven nuclear-powered subs are currently under construction at the yard. In addition come several surface vessels. The latest of the subs, the Borey-class «Knyaz Vladimir» was put on the water in November 2017. The Russian Navy has ordered eight strategic Borey-class submarines by 2020, four of which already are on the water. In addition, a fleet of seven multi-purpose attack subs of the Yasen-class are under development. In July 2017, Sevmash laid the keel of “Ulyanovsk”, the seventh Yasen-class sub. The first, “Severodvinsk” was commissioned in December 2013. The “Kazan”, the second sub in the class is launched, but not officially transferred to the Navy. The Yasen-class represent the most advanced nuclear powered submarines ever built for the Russian navy. The 140 metre long vessels are armed with the most advanced cruise missiles and torpedoes and is said to be Russia’s most quite sailing submarines. With a crew of 90, the submarine can dive to 600 metres and has a submerged speed of up to 28 knots.